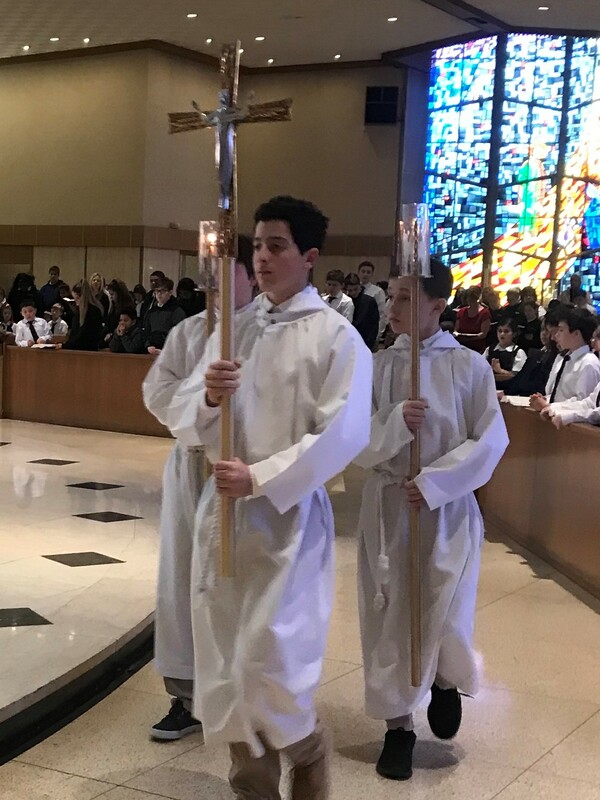 Altar Servers are present before, during and after each Mass to assist the priest in the celebration of the Eucharist. It is an honor and a privilege to become an Altar Server. It is your way of giving thanks to the Lord and to serve Him. If you feel that God is calling you to serve at His table, then this is your way of saying “yes” to Him. Training sessions are held each spring before Easter and are mandatory. This ministry is open to any parishioner from Grade 5 to adults. 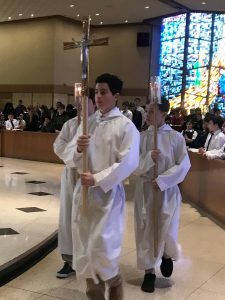 See the Schedule for Liturgical Ministers for current Altar Server scheduling.